Microsoft has shown off its concepts for Mouse 2.0 – and how it could bring the humble pointing device up to date with multi-touch technology. A paper written by Microsoft's research department presents "novel input devices that combine the standard capabilities of a computer mouse with multi-touch sensing". 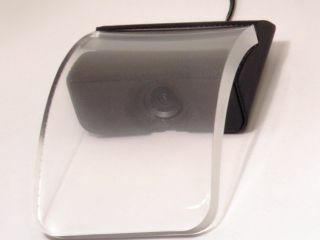 "The traditional computer mouse design, however, makes little use of [the hand's] dexterity, reducing our hands to a single cursor on the screen," explains the report. "With the emergence of multi-touch, we now have the opportunity to manipulate digital content with increased dexterity. "But whilst multi-touch has been incorporated into many different form-factors – from tabletop to mobile phone – it has yet to find a place on our desktops. This may seem surprising, particularly given that for many computing tasks the desktop setting still dominates." The designs are a mixture of left-field and fairly recognisable – but the prospect of multi-touch is a good one. When will we see one of these mice? Well, there's a fair amount of work to be done first, with the report concluding: "In future work, we plan to refine our prototypes – both ergonomically, and in terms of their sensing capabilities – to deeper explore the interaction techniques that are specific to this new class of input devices."